Unless you have been residing under a rock for the past five years, you already know how social media has revolutionized our world. From educators who use social media to communicate with students, to businesses that use social media to market their products, to nonprofits that use social media to raise money and awareness, social media sites like Facebook and twitter have opened up new channels for communication and have transformed the way we interact. They can even provide a source of emotional support, which can be particularly helpful for older women going through major life events, such as illness, divorce, or death of a loved one. While social media may have started out with a bent toward younger generations (Facebook, for instance, originated on a college campus, it is now widely enjoyed by Americans of all ages. In fact, the Pew Research Center’s Internet & American Life Project has found that the number of adults ages 65 and older who use social media has roughly tripled since 2009, from 13% to 43%. Less is more. When it comes to sharing your personal information on social media websites, be economical. In particular, you should never reveal your home address on social media sites. Make sure you don’t inadvertently jeopardize the safety or well-being of your friends or relatives, either. 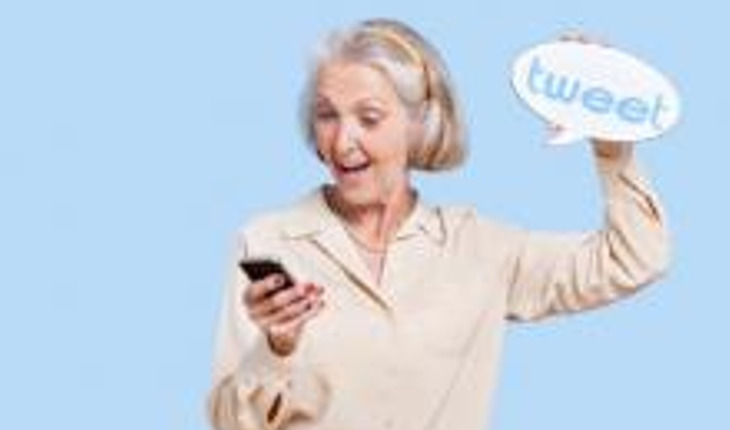 While many loving grandmothers may want to post pictures and information about their grandchildren on social media sites, remember not to post too much identifying information. You should also avoid sharing your travel plans on social media websites, even if it seems like a harmless thing to do. According to HomeSecuritySystem.com, the things you post online could jeopardize the security of your home. For instance, if you post that you are going away on vacation for a couple of weeks, you may have just alerted potential burglars that your home will be empty and vulnerable during that time. Privacy is king. Make sure you create strong passwords for your social media accounts, to avoid making them vulnerable to hackers. You should also take the time to carefully establish privacy settings for your accounts. On Facebook you can make your posts available only to “friends” and it is possible to “lock” your tweets on Twitter, so that they can only be seen by your approved audience. Take some time to learn about these privacy settings, so you can avoid sharing information with people you do not know. Watch out for social engineering. Social engineering occurs when an attacker impersonates someone else in order to acquire your personal information. Never respond to a Facebook message that asks for your personal information or money, even if the message appears to come from a friend or family member. If something appears suspicious, contact the person first to make sure he or she actually sent you the message. You should never click on a link in a suspicious message, as it could deliver a virus to your computer. Elle Aldridge is Content Editor at HomeSecuritySystem.com.